The Affordable Care Act (ACA), popularly known as Obamacare, was signed into law on March 23, 2010 to ensure secure, stable and affordable health insurance for all Americans. The ACA not only provides health insurance exchanges through which individuals and small businesses can compare and buy insurance coverage, it offers financial subsidies for moderate- to middle-income Americans to purchase through the individual state exchange. In addition, the ACA expanded Medicaid eligibility for those low-income Americans who make less than 133 percent of the prescribed federal poverty level, the benefits of which were previously only available to persons disabled as result of HIV. Despite efforts by some to either oppose or repeal the law, public support for ACA has been on the gradual uptick, with opinion polls showing growing support for the legislation from both Democratic and Republican voter since the Trump inauguration. According to research from the Washington, D.C.-based Kaiser Family Foundation, people of younger age, with lower income (under $40,000 per year), and who identified themselves as Democrat were typically more likely to support the legislation. While the impact of the ACA on U.S. health care system is indisputable, it can be argued that the 1.2 million Americans living with HIV may have felt it most. Prior to the law's enactment, only 17 percent of people with HIV had private health insurance compared to 54 percent of the general population. Moreover, twice as many had been without medical coverage of any type (29 percent) when compared to Americans without HIV (14 percent). Since 2010, the expanded access to health care has been well received by people with HIV, with numerous studies suggesting improved clinical outcomes as a result of ACA implementation. In Virginia, for example, 47 percent of those who had previously accessed treatment through the government's AIDS Drug Assistance Program (ADAP) had enrolled in ACA insurance plans in 2014. Armed with a new provision for centralized, HIV-specific care, the patients with insurance were better able to achieve and sustain undetectable viral loads than patients with ADAP. Moreover, each additional month of enrollment in an insurance plan was associated with a six percent greater likelihood of viral suppression, with people enrolled for a full year being over 60 percent more likely to sustain fully suppressed viral loads. Similar patterns are being seen elsewhere, with California, the state with the largest ADAP program, reporting a 27 percent drop in enrollments since 2012. Today, less than 28,000 Californians access ADAP compared to more than 38,000 who had done so in 2012—the lowest number seen since 2006. That's not to say there haven't been significant challenges to program implementation. In l2015, a number of ACA insurers were accused of actively discriminating against people with HIV by engaging in adverse tiering, the practice by which patients are deterred from choosing an insurance plan by imposing unreasonably high drug co-payment costs. In some cases, out-of-pocket drug expenses for people with HIV were $3,000 higher per year when compared to insurers that didn't partake in adverse tiering. 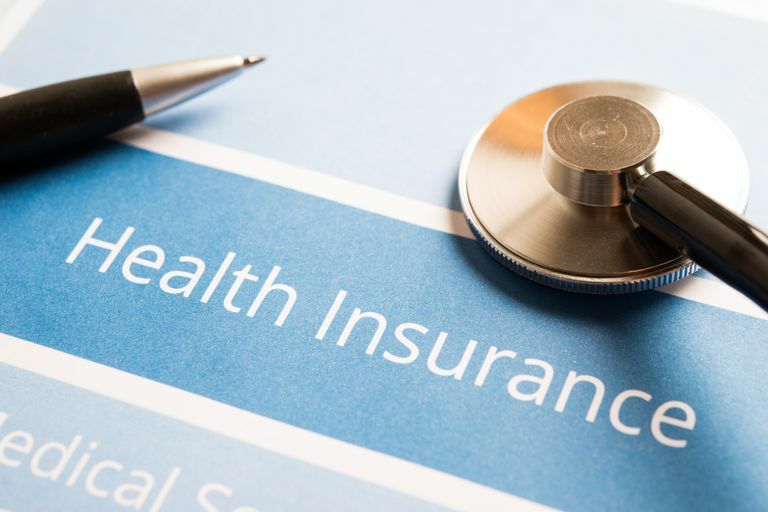 In March 2015, after a flood of criticism from HIV advocacy groups alike, Aetna Insurance revised its internal policies, removing antiretroviral drugs from the highest tier to ones in which co-payment can range anywhere from $5 to $100 after deductibles are met. Moreover, continued efforts to block Medicaid expansion in states like Virginia, Louisiana, Texas and Florida are leaving some of the country's poorest citizens—often who at highest risk of HIV infection—with little, in any, access to medical coverage. Currently, 19 U.S. states have declined Medicaid expansion. Open enrollment is the time of year when you can apply for cost assistance, switch plans, or enroll in a major medical plan that counts as the minimal essential coverage required by law. The open enrollment cycle begins on November 1, 2018 with the effective date of coverage beginning January 1, 2019. As with 2017 when the Trump administration slashed the enrolment period by two weeks, the 2018 enrolment deadline is set for December 15, 2018. This gives people only six weeks to secure enrollment. You can access your state's portal via the Health Insurance Marketplace website. The U.S. Department of Health and Human Services has established a Health Insurance Marketplace portal at Healthcare.gov to help determine your personal eligibility and guide you to the specific office or department you need. (A Spanish-language directory can be found at Cuidadodesalud.gov). Once you've decided on coverage, you can apply either online, in person, or by mail. Procedures can vary from state to state, but the simplified application forms are relatively short and easy to understand, requiring only a social security number (or document number if you're a legal immigrant) and employer/income documentation (e.g., pay stubs, W-2s, tax statements). Once submitted, follow-up time is between one to two weeks, on average. For more information about Medicaid expansion in your state, a regularly updated Status of State Action report is available from the not-for-profit Kaiser Family Foundation. McManus, K.; Rhodes, A.; Yerkes, L.; et al. 2014 Affordable Care Act Enrollment of AIDS Drug Assistance Program Clients and Associated HIV Outcomes. ID Week 2015. October 9, 2015; San Diego, California; oral presentation; abstract 728. Jacobs, D. and Sommers, B. Using Drugs to Discriminate - Adverse Selection in Insurance Marketplace. New England Journal of Medicine. January 29, 2015; 372:379-402. DOI 10.1056/NEJMp1411376.